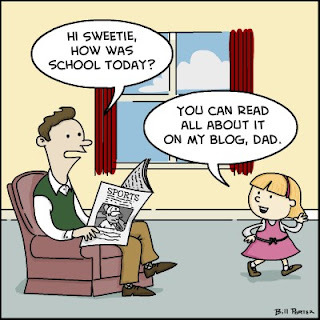 Those Catholics who are parents may understand some of the ideas on this brief posting. A friend of mine could not understand why purgatory is punishment. She could understand the formation and healing of the soul in purgatory, but could not understand the punishment part. When we sin, there are two consequences. Let me backtrack by reminding you that formation is the growth in the Spirit in the life of the virtues. Even a child can become a saint through formation. When one sins, two things happen: one leaves the road of formation and falls off, as it were and one incurs a consequence of that sin. There is a consequence because God is All Just, Loving, Pure, Innocent and Merciful. If we truly knew Him as He is, we would not be able to sin, at least so easily. So, formation is interrupted by sin and sin causes a rupture in the person 's relationship with God. This sin must result in a reparation. There must be penance, which is an inconvenience and even a pain for us. Too many penances in the Confessional are not painful. Perhaps, going to Confession is a penance, because we are so proud. Making a good Confession can be a penance, as one must not cover up sins. So, formation and the consequence of sin leads to the need for both restitution, which has been earned by Christ Himself, but we enter into this, and by some penitential act. Purgatory exists because we did not follow up all the opportunities for grace which we could have done in our lives. The real road to holiness means that we allow God to purify us on earth. The real goal is heaven, not purgatory. I suggest that readers study the sections in the CCC about merit and justification. One should be able to cooperate with the graces of purification while on earth in order to avoid purgatory and have great merit for heaven. I hear people all the time saying that they shall be glad merely to get to purgatory. They do not understand the great graces which are being offered to them now, for both the upbuilding of the soul and the strengthening of the Church. Here is a section from Garrigou-Lagrange on the faults of those who are advanced, called the proficients. Consideration of this subject is advantageous to interior souls, especially for three reasons: that they may see more clearly the necessity and the value of the daily cross that each must carry; that they may also better discern the unreasonable troubles which they foolishly create for themselves from those which have a true purifying value; lastly, that they may get a more exact idea of purgatory, which will be necessary for them if they do not profit sufficiently by the crosses sent to them in this life. Note the clarity of the above statement. The author points out that we must profit from our crosses, and not discard these or run away from these. There are still many defects in proficients who have made considerable progress, the inferior or sensible part of whose souls is already in large part purified, and who have begun to live the life of the spirit through the initial infused contemplation of the mysteries of faith. The stains of the old man still remain in their spirit like rust that will disappear only under the action of a purifying fire. 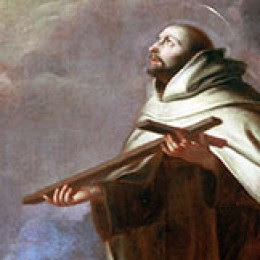 St. John of the Cross points out (14) that these advanced souls are still often subject to indirectly voluntary distractions in prayer, to dullness, to useless dissipation, to excessively human sympathy for certain persons, leading to a lack of esteem for others, which is more or less contrary to justice and charity. They have moments of natural rudeness, the result of the sin of impatience. Some fall into illusion by being too much attached to certain spiritual communications; they expose themselves to the devil, who takes pleasure in deceiving them by false prophecies. Others, under the same influence, fall into bitter zeal, which leads them to sermonize their neighbor and to deliver untimely remonstrances. Thereby, though unaware of it, these advanced souls are puffed up with spiritual pride and presumption and thus deviate from the simplicity, humility, and purity required for close union with God. St. John of the Cross says: "Some of them become so entangled in manifold falsehoods and delusions, and so persist in them that their return to the pure road of virtue and real spirituality is exceedingly doubtful" (15) Evidently there are greater dangers than those at the beginning. One of the beauties of the Benedictine Rule is that the stepping stones for perfection are laid out. There is no doubt in one's mind what one must do. There are no entanglements, such as I have witnessed among Catholics, tearing people away from the road to perfection and sidetracking them into false teachings. According to the holy doctor, this matter is inexhaustible; and so far he has considered only the defects relative to the purely interior life, to relations with God. What would it be if one were to consider the defects that advanced souls still have in their relations with superiors, equals, and inferiors; if one were to consider all that, in this period of the spiritual life, still injures charity and justice; all that, in those who have to teach, govern or direct souls, stains their apostolate, teaching, government, and direction? One of the sorrows of our day is the lack of spiritual directors who have actually passed through these stages themselves and recognize them. For those who desire to follow the way God has set out for them, in the second purgation, there is no escaping the Dark Night of the Spirit. Some writers may call this the third conversion, but it is the entrance into the Passion. For some mystics, this is the time of the stigmata. But, the call is the same for all of us. This could be called the "no pain, no gain" part of life. Here is Garrigou-Lagrange. What is misunderstood by most readers and even some sisters (not at Tyburn--they get it), and some priests, is that all, even the tiniest imperfections, must be burned out of the soul by suffering. These passive purifications happen outside our control. This type of suffering, not a result of sin, but a result of pruning, is an indication of the Dark Night. All the parts of the soul MUST be purified. So many pastors believe that their parishioners can act in ministries in the Church without this purification. Not so. In fact, the Church is weakened by either religious or lay people doing things without the necessary weaning from sin and imperfections. It is only when the soul is purified and in union with God, that real and efficacious ministry occurs. A person can be very talented and seemingly be using his gifts for the Kingdom of God, while merely doing such for himself and his own needs. The purification of the lower and higher parts of the soul needs to happen before the great outpouring of the graces of Confirmation are freed to the fullest. In his commentary on St. John's Gospel, St. Thomas says: "In the natural vine, the branch which has many shoots yields less fruit, because the sap loses its efficacy by excessive diffusion in these superfluous shoots; therefore the vine-dresser prunes them. Something similar occurs in a man who is well disposed and united to God, but whose affection and life are excessively exteriorized in various ways; the strength of his interior life is then diminished and less efficacious in regard to the good to be accomplished. For this reason the Lord, who in this respect is like the vine-dresser, prunes His good servants and frequently cuts away what is useless in them so that they may bear more fruit. He purifies them for a long time, sending them tribulations, permitting temptations that oblige them to a holy and meritorious resistance, which renders them stronger in regard to the good. The Lord inures to war and thus purifies those who are already pure, for no one is ever sufficiently so on earth, according to St. John's statement: 'If we say that we have no sin, we deceive ourselves, and the truth is not in us' (I John 1:8). Thus the Lord purifies His servants so that they may bear more fruit, that they may grow in virtue and be proportionately richer in good works as they are more pure. This text from St. Thomas' commentary on St. John refers properly to the passive purifications, which the just man does not impose upon himself like mortification, but which he receives from God. Thus was purified holy Job, who declared: "The life of man upon earth is a warfare." (2) It is a time of laborious and painful service, a time of trial, like the life of a soldier. 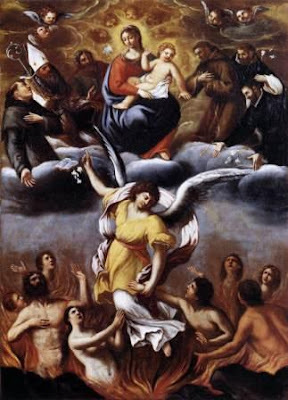 Such it was for the apostles after Christ left them on Ascension Day, and they assembled in the upper room to pray and prepare themselves for the struggles which Christ had announced to them, and which were to be crowned by their martyrdom. The fathers of the Church and spiritual writers have often spoken in this intimate sense of the cross we must bear daily, the cross of the sensibility and that of the spirit, that the lower and the higher parts of the soul may gradually be purified, that the sensitive part may be perfectly subjected to the spirit, and the spirit to God. Suffering becomes a thing of joy, believe it or not. This is hard to rationally explain, but one welcomes pain and suffering, anxieties and misunderstandings, with patience and a quiet joy which comes from the knowledge that one has been invited to share Christ's pain and suffering, in a much smaller way. A person told me today that we are all like little monstrances in the world, carrying the Precious Body, and in my mind, the Eucharistic Heart of Jesus into the world. I have been aware in the past that I carry Christ out into the world. This comment resonated with me and reassured me, as in Malta, London, or wherever, my little prayer after Adoration or Mass has been, "Let there be one person carrying Your Presence out into the world in London", (or Valetta, or Dublin). I say as I walk, "Lord here is, at least, one person who is loving and adoring You today on the streets of ....."
We can all do this, daily after Mass and Adoration. We are the Presence of Christ in the world. A good friend of mine here in Walsingham has spectacular birds coming into her garden. I saw this one, the Greater Spotted Woodpecker. It is an amazingly beautiful bird. It love peanuts.